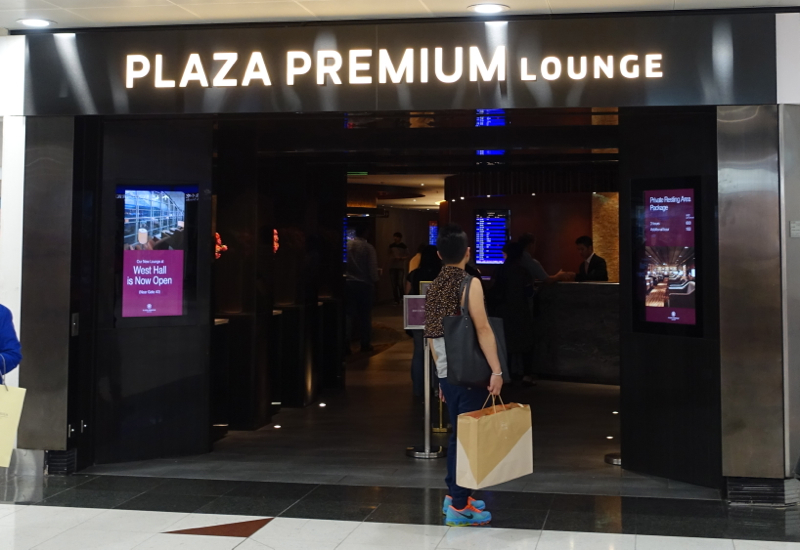 This Plaza Premium Lounge Hong Kong review is part of a round the world trip report including first class and business class flights, luxury hotel stays in London and Asia, and restaurant reviews. There are several Plaza Premium Lounge locations in Hong Kong Airport, and some are better than others. 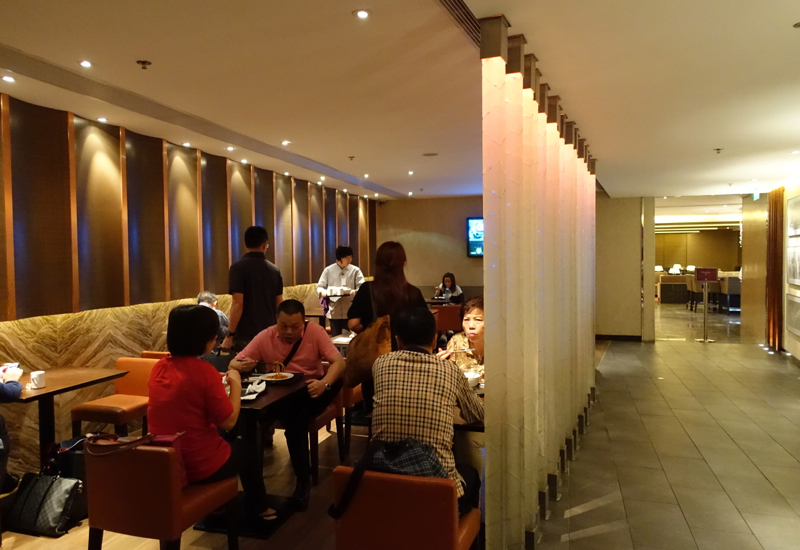 In particular, the new Plaza Premium Lounge West Hall in Terminal 1 near Gate 40 is the newest and the flagship lounge, so if it's convenient for your purposes, I'd recommend you go there. There's also Plaza Premium Lounge East Hall in Terminal 1 near Gate 1, which we visited briefly before a short Cathay Pacific flight in the morning, mainly because I needed WiFi and lounge access was free with my Ink Plus (note that with the card, you can request a Lounge Club card that gives you 2 free visits; after that you pay ~$27 per visit). Finally, there's the Plaza Premium Lounge in the Arrival Hall, on Level 3 of Terminal 2, which could be an option if you don't have access to Cathay Pacific's Arrival Lounge. The usual airport lounge amenities are available: seating, WiFi, food, drinks, newspapers and magazines. There are also showers and private sleeping rooms available for additional fees. 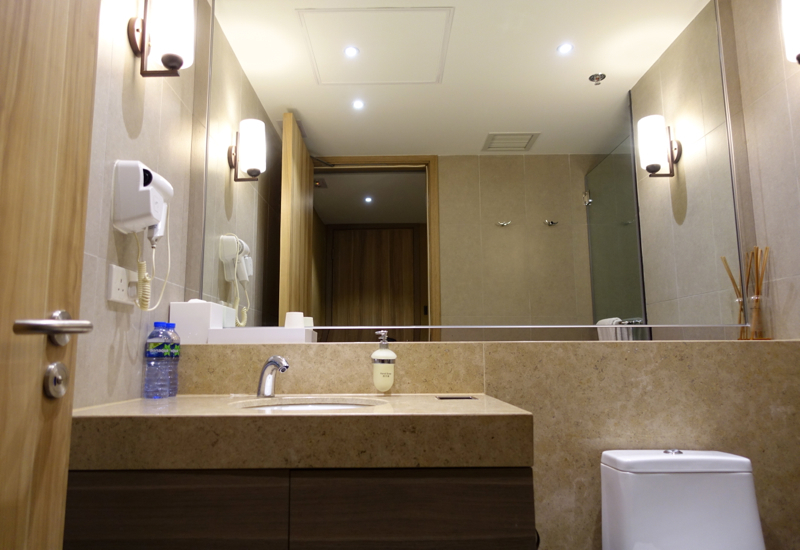 Unlike Cathay Pacific's business class and first class lounges, where access includes shower rooms (and relaxation rooms in the case of first class), based on availability, Plaza Premium Lounge shower rooms and nap rooms are for a fee; they are not included with regular lounge access. 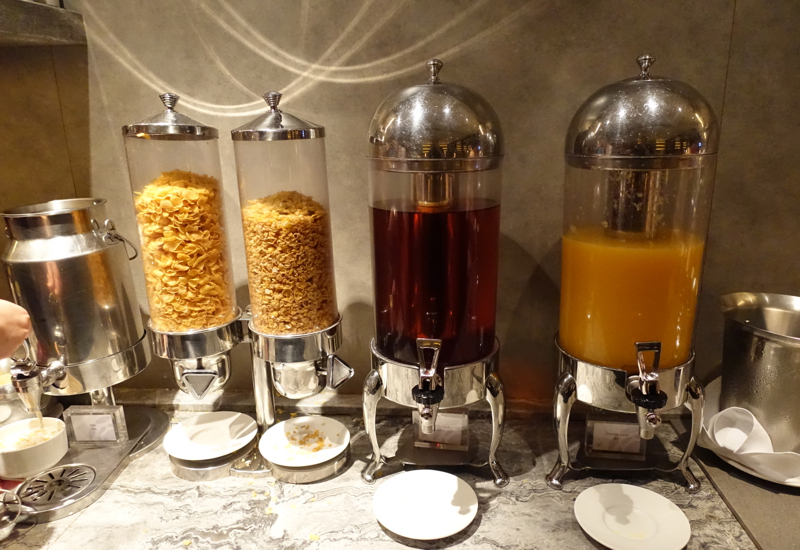 There were also fairly basic Western offerings, such as juice, cereal and toast. The sleeping room we were shown to had 2 single beds. They were quite firm, but we both managed to sleep for a couple hours, and my son slept so soundly it was hard to wake him. 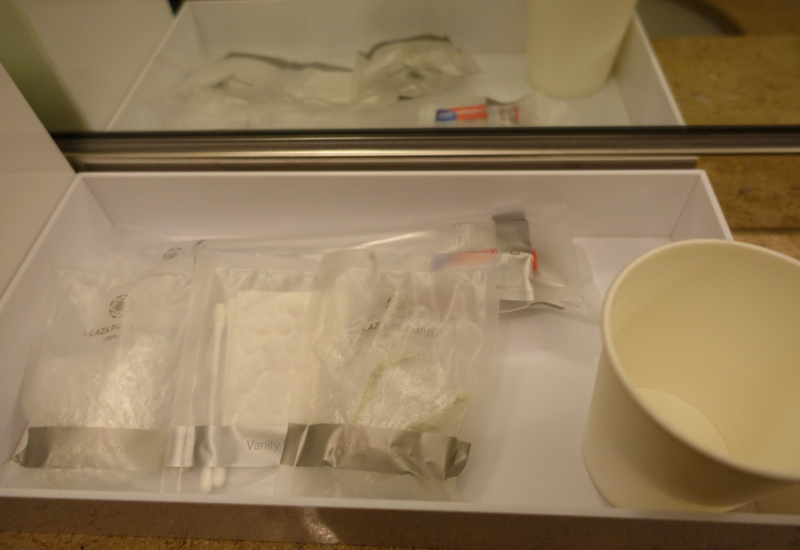 Toiletries were basic, consisting of shower caps, bottled water, and toothbrush/toothpaste kits, but this covered the essentials. Although there was a bit of noise from people coming and going, it was mostly quiet and completely dark, so we both ended up sleeping quite well for a couple hours, which was just what we needed before our after midnight flight. There's the option of a wake-up call, but we used our own alarm. While regulars of Cathay Pacific's very good Hong Kong Airport lounges, such as The Wing, will be disappointed by The Plaza Premium Lounge food offerings as well as how crowded the lounges often are, a key benefit is that it's possible to book sleeping rooms, whereas even Cathay's First Class lounge doesn't have dedicated sleeping rooms. You'll pay extra for these, but that can be well worth it depending on how badly you need to sleep in Hong Kong Airport. 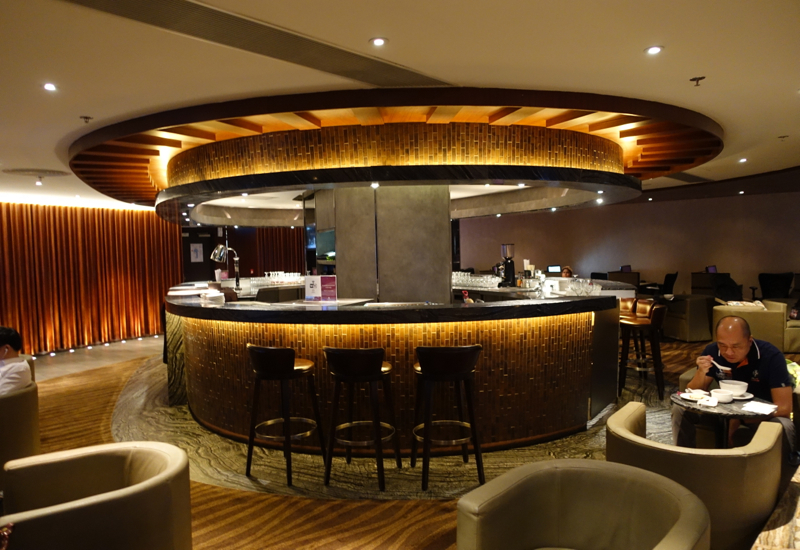 If you've used any of the Plaza Premium Lounges in Hong Kong Airport, what was your experience?